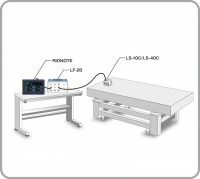 This setup is for measurement of vibrations with a frequency of 1 Hz or lower, which cannot be measured with a conventional accelerometer. 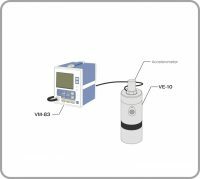 It is suitable for measurement of vibrations in buildings and other large structures. 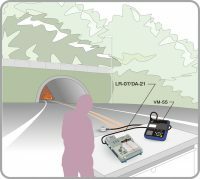 Measurement of blasting vibrations may be performed either by measuring vibration acceleration levels or vibration velocity levels. The measuring equipment has to be selected accordingly. 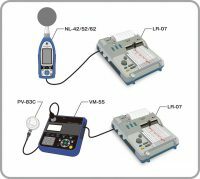 Calibration oscillator allows on-site calibration of an accelerometer or vibration meter.